Good morning darlings! 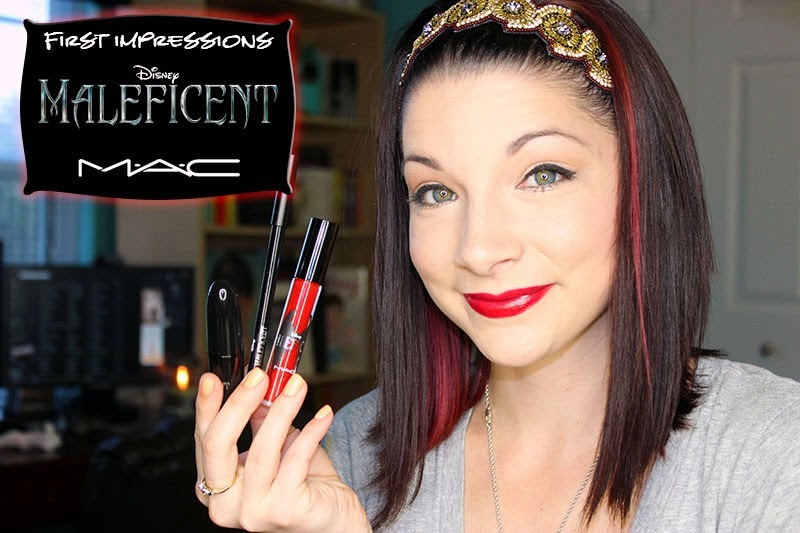 For this week's video I've been patiently waiting to play with my MAC Cosmetics' Maleficent products I got. They arrived Tuesday and I have been pretending to ignore them till I could sit down and film my first impressions of them. I managed to wait till filming day however, I ended up doing the entire video with my mic off (doesn't that just figure?! LOL) so had to go a different route and re-film the video. I only purchased the lip products from the collection: True Love's Kiss, Kiss Me Quick and Anthurium. So if you'd like to see what I thought of the products I picked up check out my video below.